High school students creating robotic arms and small electronic vehicles will compete for a new championship title as the University Interscholastic League is launching a pilot robotics program for Texas schools. High school students creating robotic arms and small electronic vehicles will compete for a new championship title with the University Interscholastic League's launch of a pilot robotics program for Texas schools. The UIL is partnering with state chapters of a pair of national robotics programs — FIRST in Texas and BEST Robotics— to encourage exploration in the science, technology, engineering and math fields, or STEM. The existing competitions held in Texas by the two national organizations will officially be sanctioned by the UIL and end in two new statewide championships — one in the fall and one in the spring. The first championship — in the FIRST competition division — will take place in July after the spring season, according to Ray Almgren, the board chairman for FIRST in Texas. “We are trying to change the culture in our communities to celebrate hard work and STEM in the same way we celebrate sports and entertainment,” Almgren said. Texas is the fourth and largest state to create a robotics state championship. Almgren said the pilot season is available for the 1,400 UIL high schools in the beginning, before organizers open the UIL program to students in other grades. He said only about 15 percent of Texas high schools currently participate in FIRST. The FIRST and BEST competitions are very similar. 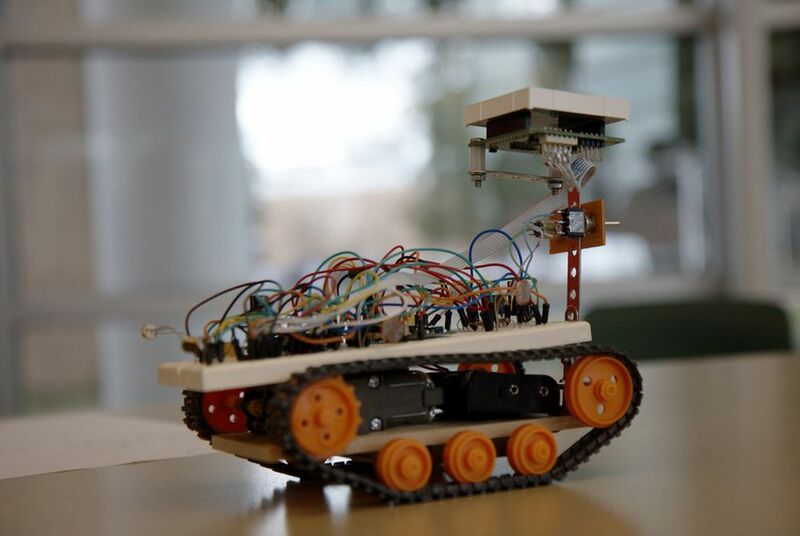 Teams are given six weeks to design and program robots to complete specific tasks, and to create them more quickly and efficiently than their opponents. Their work is showcased in front of judges at large district and regional competitions. Multiple teams will be able to enter from one school. Ashish Deshpande, a University of Texas at Austin engineering professor, who has served as a FIRST competition judge, said the partnership can increase diversity in robotics by introducing women, minority students and children from poorer schools to the field. Almgren said he and organizers are hopeful that more superintendents and principals will bring robotics programs to their schools as competitions increase in popularity, and he added that he wants the programs to bring a sense of pride for schools' STEM curriculum. Disclosure: The University of Texas at Austin is a corporate sponsor of The Texas Tribune. A complete list of Tribune donors and sponsors can be viewed here.